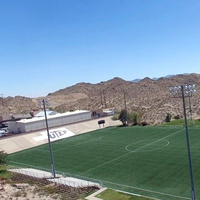 The home of UTEP soccer since its inception in 1996, University Field has been the site of many historic events during the program's history. In 1999, the addition of lights to the field made it possible for the Miners to play night games. On Thursday, Sept. 23, of that year, UTEP defeated Arizona, 4-3, in the first night game of the facility.